Fresh rumours indicate Intel is prepping for the launch of the Core i9 9900K, along with other Coffee Lake refresh CPUs, on October 1, 2018. 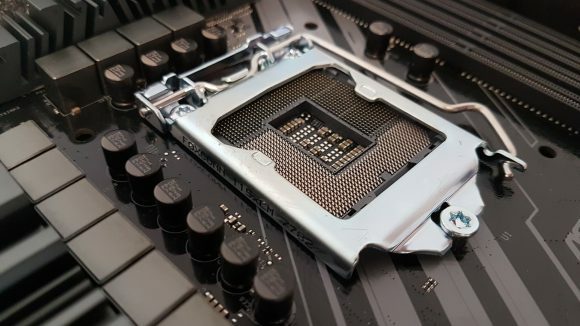 Recent reports indicate that the launch of Intel’s first mainstream octacore chips will also coincide with the release of the Z390 chipset, which will potentially replace the Z370 chipset a year after launch. According to unnamed sources, Intel will release its unlocked CPUs – the Intel i9 9900K, i7 9700K, and i5 9600 – under the 9th gen branding, with the remaining Coffee Lake refresh chips following in Q1, 2019 (now where have we heard that before?). The information comes from sources close to WCCFTech, so there’s certainly grounds for weariness, however, as the rumours mostly confirm what previous sources have alluded to they may have a little more sticking power than most. The Intel i9 9900K is an eight-core / sixteen-thread monster set to take on the core dominance from AMD’s Ryzen lineup. It’s strongly believed that another octacore will be joining the very first i9 in the mainstream space from Intel too, the i7 9700K. This chip will have hyperthreading disabled for a candid eight cores and eight threads. But gamers might be a little more taken by the i5 8600K successor: the aptly-named i5 9600K. Reportedly, this will be a six-core chip with hyperthreading disabled, but it will bump clockspeeds a touch over the last model. There’s also a few other i5 chips on the agenda, such as the i5 9600 and i5 9500, although this report doesn’t indicate these will make an appearance until early in the new year. Recently leaked roadmaps indicated that Intel had set its next processor launch before the end of Q3, almost exactly a year after the first Coffee Lake chips ventured out into the wider world last October. Back then the top-end chips were also joined by the i5 8400 and i3 8350K chips, yet, according to WCCFTech’s report, the budget options look to be sadly missing from the Coffee Lake refresh / 9th gen lineup. While the entry-level 9000-series chips might not be set for an imminent launch, the Intel i5 8400 is still one of our favourite chips for pure gaming performance. There’s also plenty of choice in the mobo department since Intel launched the entire Coffee Lake lineup back in April. So we might not have long to wait to see how Intel’s eight-core chips shape up against the best of AMD’s Ryzen right now – at least in the high-core, high-performance space. 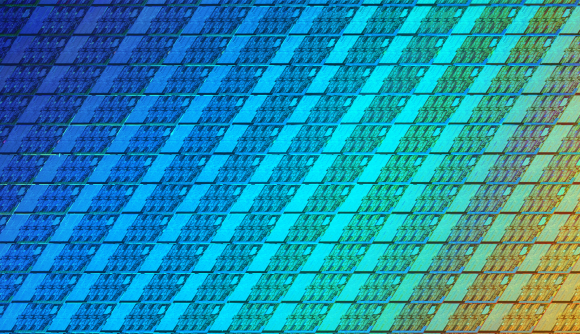 When Intel gets around to the remaining 14nm chips next year, it might not be long before AMD is launching its 7nm Zen 2 chips. Meanwhile Intel is floundering with 10nm, now delayed until 2019 / 2020. But for the time being, yields of Intel’s Coffee Lake refresh will assumedly be higher than ever – after all they are all based upon the same architecture and process as a year before. Hopefully this means the paper launch of yesteryear will be avoided and the Intel i9 launch will go off without a hitch. Here’s hoping.